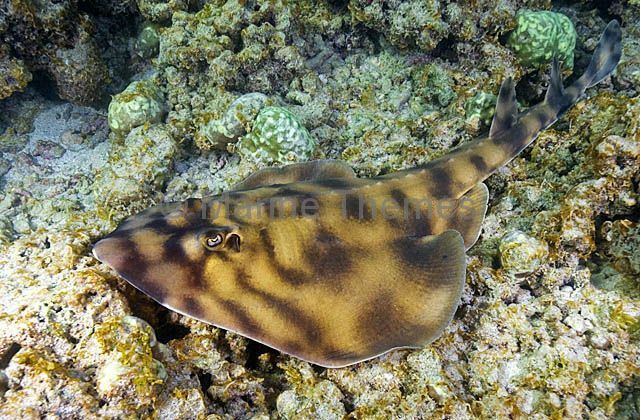 Banded Guitarfish (Zapteryx exasperata) swimming over low reef. 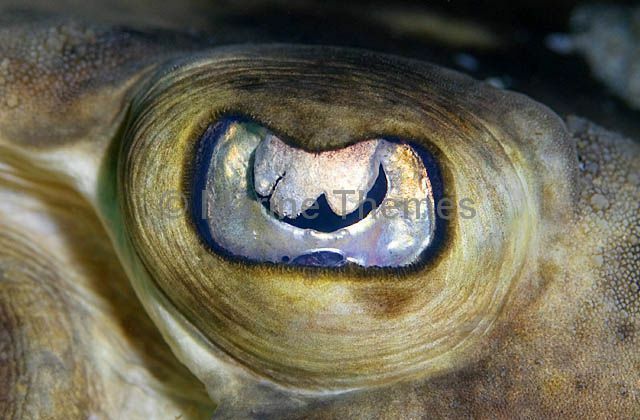 Banded Guitarfish (Zapteryx exasperata) Detail of eye and spiracle. 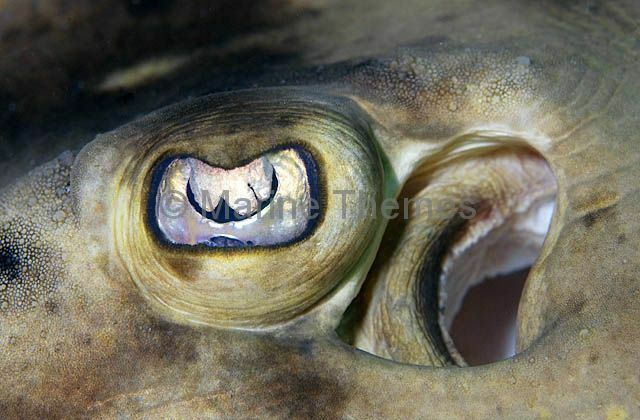 Banded Guitarfish (Zapteryx exasperata) Detail of eye. 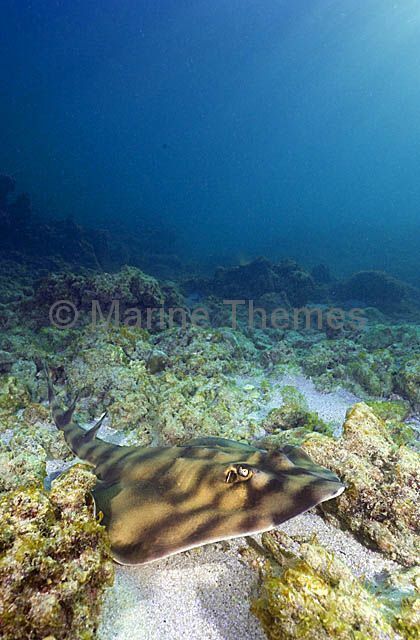 Banded Guitarfish (Zapteryx exasperata) resting outside rock reef ledge. 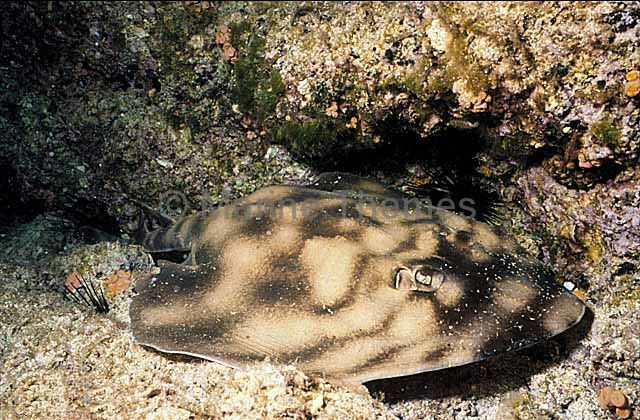 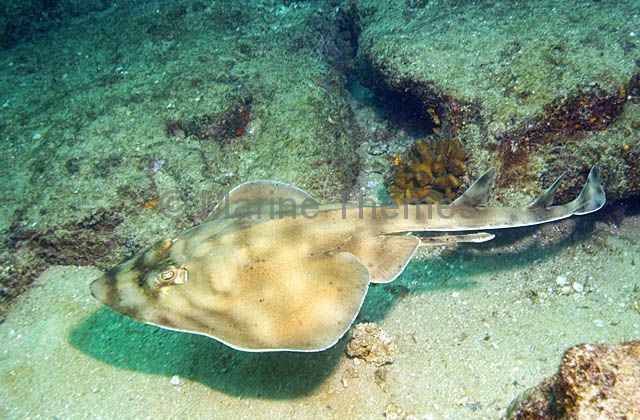 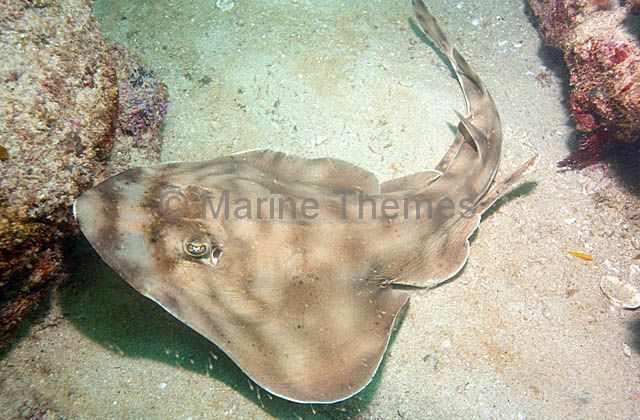 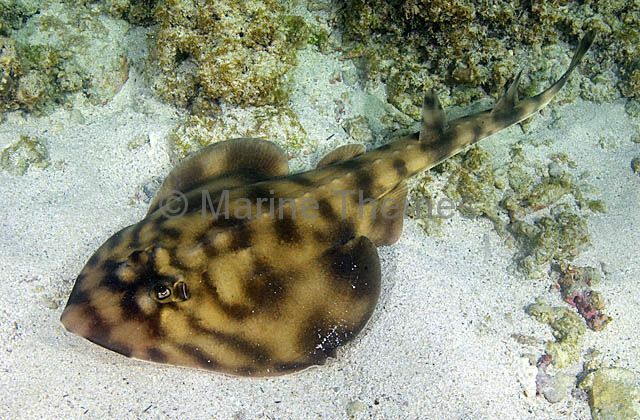 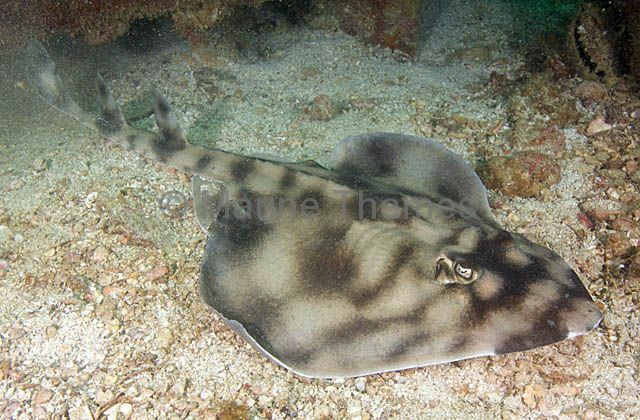 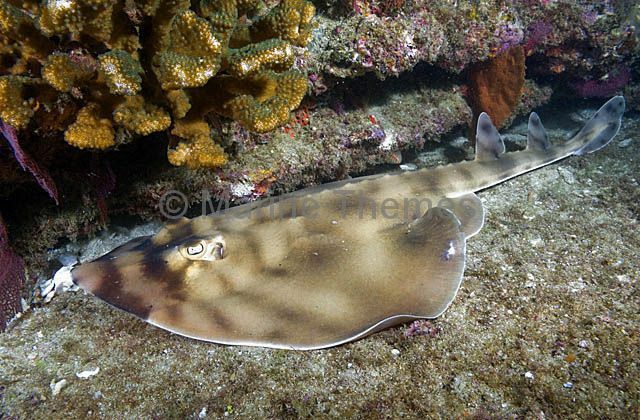 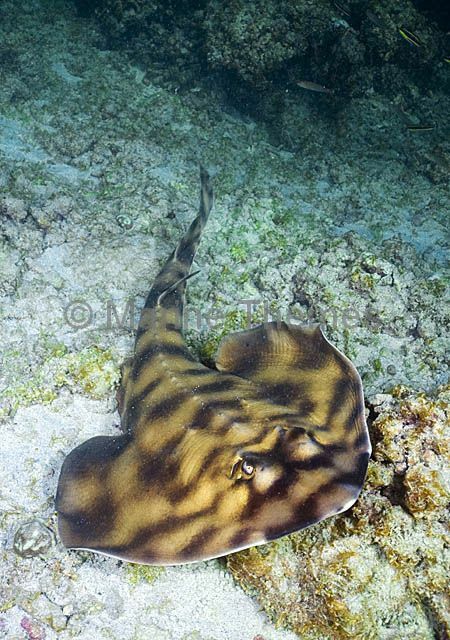 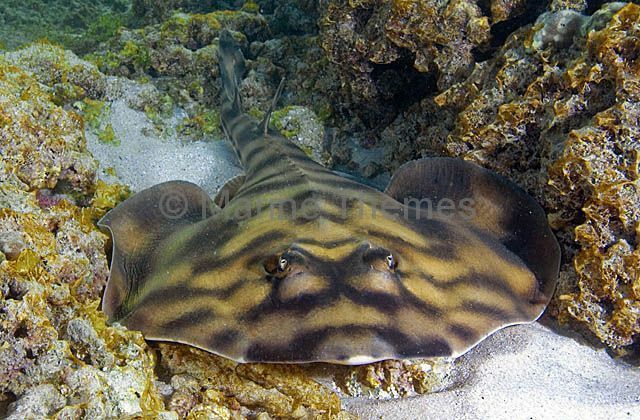 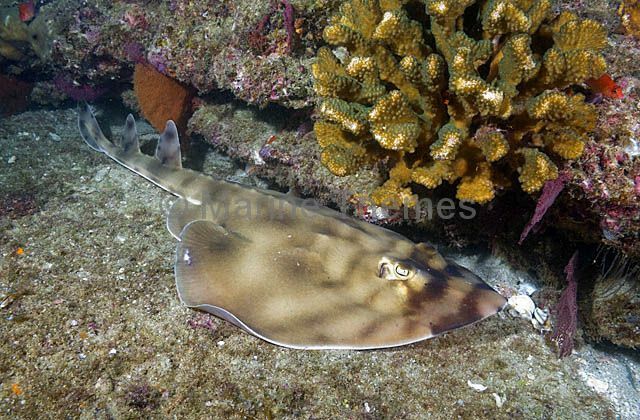 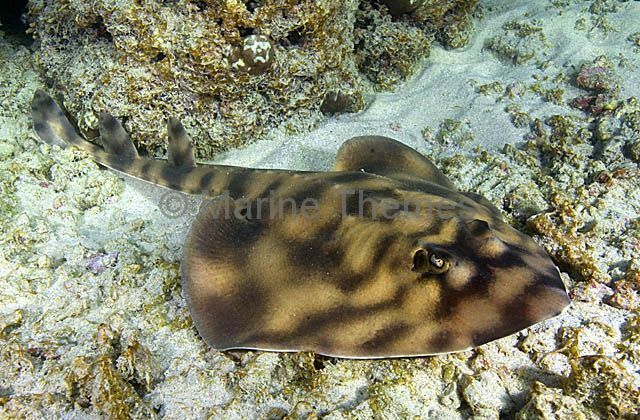 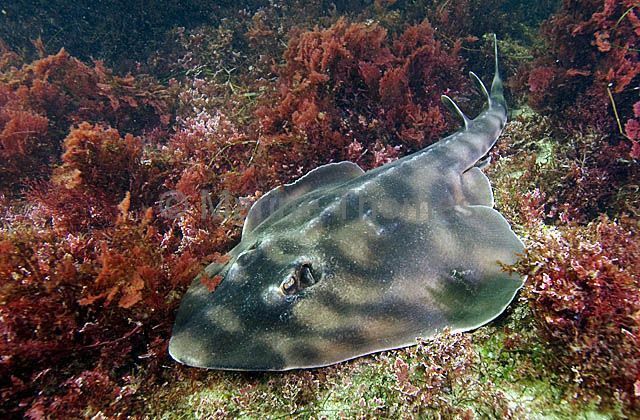 Banded Guitarfish (Zapteryx exasperata) resting on rocky reef.